Charity Pilgrim Bandits, which supports amputee service men and women, is asking companies, individuals or sporting groups to put forward and sponsor brave volunteers to take part in a tandem skydive event to raise money and awareness of the challenges faced by amputees from the country’s armed forces. 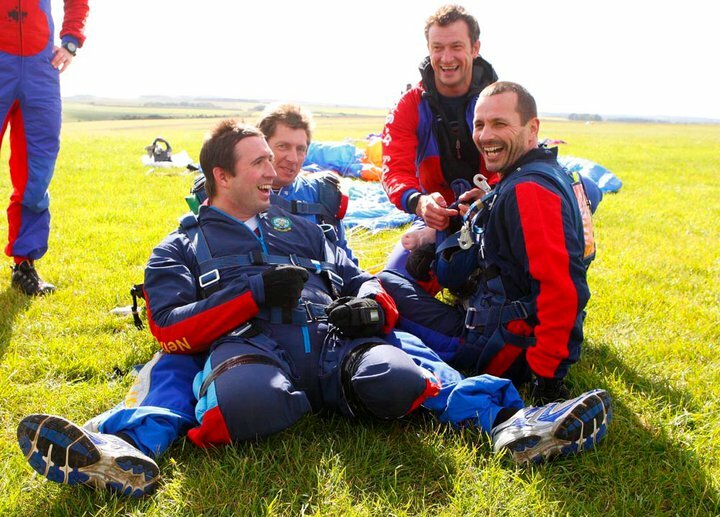 The New Forest based charity is asking anyone with a brave heart to take part in the Pilgrim Bandit’s Skydive challenge being held during the Jump For The Fallen week on Friday September 21st 2012 at Netheravon, Wiltshire. Jump For The Fallen is a week-long event hosted by the Army Parachute Association and over the week the aim is to have a sponsored-for-charity tandem jumper for every soldier (416 to date) lost in action in Afghanistan since the start of the conflict, raising valuable funds for the military charities associated with the week. Jumping costs just £200 with donations of £100 or more requested on top. Pilgrim Bandits provide full registration details and information on the event at www.pilgrimbandits.org. Pictured: John Sandford Hart, Ex-REME from Christchurch, Dorset (right) and Lance Bdr Ben Parkinson, (front) from Doncaster, who is a double amputee and is defying medical science to talk, walk and complete extraordinary physical challenges with Pilgrim Bandits after an anti-tank mine blew up the vehicle he was travelling in Helmand Province in 2006. Ben sustained a catalogue of 40 horrendous injuries including brain damage and loss of both legs above the knee. For additional media information please contact Deborah Risbridger email. media@pilgrimbandits.org. tel. 01425 461600 mob. 07767 784295. And Please, Please click on the Twitter, Facebook or other buttons below to spread the word and do your bit for these wonderful people. Also click on the Comments below and leave a message of support. Many thanks.